Limited edition Selena bags will be available at select H-E-B's on Friday. Remember that special Selena-related surprise that H-E-B teased? Well, they unveiled it early. 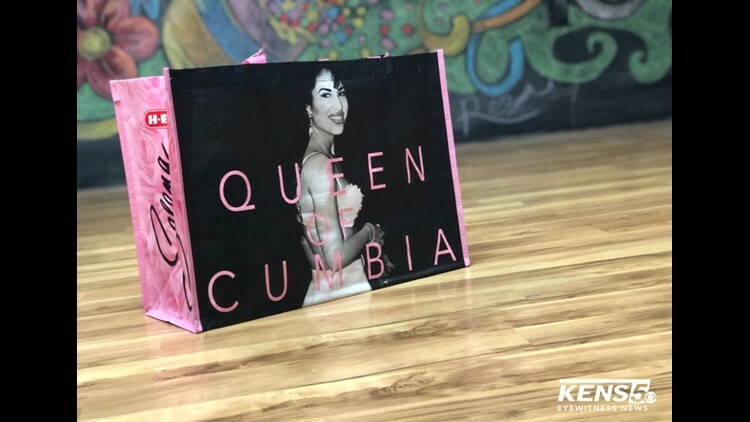 On Wednesday evening, Selena’s official Facebook page published a video in which an H-E-B representative and Selena’s sister Suzette Quintanilla revealed a new limited edition bag that will be available for purchase at H-E-B’s across Texas on Friday. KENS 5 got a first look at the bag! The bag will be available at select H-E-B stores on Friday. H-E-B says that they’ll list the stores where the bags are available at HEB.com on Friday at noon. H-E-B also made a $25,000 donation to the Selena Foundation.